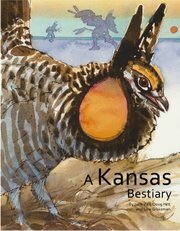 As a part of our what’s so special about Kansas series, we reached out to the authors and artist of A Kansas Bestiary. Read our review of the book here and read on for their thoughts about what makes Kansas so special. A bit about them from their website: Jake Vail lives in the Wakarusa watershed and works as a librarian in Lawrence, Kansas. Doug Hitt holds an M.A. in Earth Literacy and has studied with eco-philosopher Joanna Macy. Lisa Grossman is a painter and printmaker in Lawrence, Kansas, whose work focuses on the wide skies, prairies, and river valleys of Kansas. JV: I’d pick the long loop at Konza Prairie (my first exposure to the Flint Hills), and the Tallgrass Prairie National Preserve. Doug and I went for a two-day meander on the trails there during the writing of A Kansas Bestiary. From free-ranging bison to box turtles to scissor-tailed flycatchers and the great surprise of prairie chickens booming in the evening, it turned out to be a Kansas highpoint. DH: My favorite trails are in the Tallgrass Prairie National Preserve near Strong City. The open vista of horizon and multi-hued flora, the breezy soundscape punctuated with insect hum and sparrow call unleash me from too-much-thought. LG: By far, the trails I frequent most in all seasons for biking, hiking and foraging are the Kansas River Trails along the Kansas River in Lawrence. These start at the 8th St. boat ramp and wind eastward through the woods for a total of 13 miles (- I think) Experiencing them on an almost every-other-day basis allows me to feel the subtle and sometimes dramatic shifts in weather and season. But for sheer inspiration and grandeur I’ll choose the main trail into the back country of the Tallgrass Prairie Preserve. It only takes about a mile of hiking to get yourself into the most vast, quiet expanse of prairie with very few obstructions on the horizon, which is so rare. You can really lose yourself there with a few miles of easy walking. Plus there are bison and it’s open 24 hrs. Kansas Trail Guide: What inspired the writing of A Kansas Bestiary? JV: Indirectly, moving to Kansas and then realizing so many people fail to appreciate it – here and elsewhere. More directly, Barry Lopez’s essays and Rebecca Solnit and Mona Caron’s A California Bestiary. 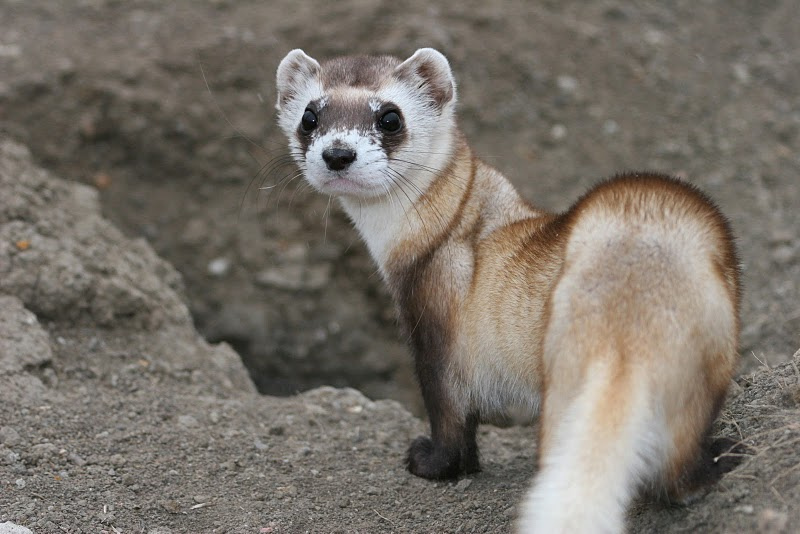 DH: The impetus for writing the Bestiary actually came from Rebecca Solnit and Mona Caron’s book, A California Bestiary; but, the actual inspiration–the driving force–came from the deep pleasure of encountering the creatures that we had chosen to honor. LG: This is Jake and Doug’s to answer! JV: That the opening scene of the Wizard of Oz portrays Kansas accurately. LG: That it’s big and empty. Kansas Trail Guide: Out of staters often think of Kansas as “flyover country” – what would you say to change their minds? JV: It wouldn’t change minds, but the history of Euramerican travel here is instructive. After Coronado and Zebulon Pike, eyes on a particular prize, both got lost, Kansas became “walk-over country,” to get most directly to the markets of Santa Fe, the green fields of Oregon, and the gold fields of California and Colorado. Now we drive the interstates (which started near Topeka, thanks to a Kansan) or move from big airport to big airport. Really, what isn’t flyover country? DH: All ecoregions have their unique language. Some, the front range of Colorado for instance, shout grandeur. Others are quieter, more courteous, subtle. Attuning ourselves to the latter is a deep pleasure akin to reading haiku. LG: Spend a few nights in the Flint Hills. That should do it. JV: If you’re interested in the bestiary, you’d be interested in the fairly new Flint Hills Discovery Center in Manhattan and the Wetlands Education Center at Cheyenne Bottoms. But mainly I’d recommend getting onto the back roads, and striking out on foot and taking time to explore. DH: Tallgrass National Preserve, Cheyenne Bottoms, Quivira Refuge. LG: I’d like to suggest different criteria for exploring Kansas. I’d ask you to seek out places rich in biodiversity, a natural silence, and the widest spans of unimpeded horizon you can find. If you find a place with all three it’s a treasure indeed. Kansas Trail Guide: For someone who grew up in Kansas and feels like they’ve seen everything there, do you have any recommendations for where to go or what to see? JV: Following Heraclitus, I believe you can’t step into the same Kansas twice. Visit a favorite place in all seasons, from different directions, in all kinds of weather, day and night, for a short time or a long time, and it will be different every time. DH: I am one of these people! When I find local lodging in small towns like Council Grove, Herrington, Stafford and then spend several days attuning to the nearby wild areas, I experience unexpected adventure. The key word is “expectations.” How do these cause us to dismiss or minimize what is right before us? “Plain” is a state of mind. LG: I’m from Pennsylvania and didn’t come to Kansas City until 1988, and I wondered where I could find the prairies. Local friends directed me to the Flint Hills and that changed everything for me. The open expanses and vast skies became my inspiration and vocation. Luckily, PrairyErth was published right after I got here so that deepened my understanding and appreciation for exploring the Flint Hills initially. As I’ve lived here over 25 years now, I’ve come to appreciate the waterways, especially the Kansas River, where I’ve kayaked and encountered a whole new side of Kansas––170 miles of the Kansas Water Trail – all open to the public for recreation with boat ramps nearly every 10 miles. It’s fabulous. 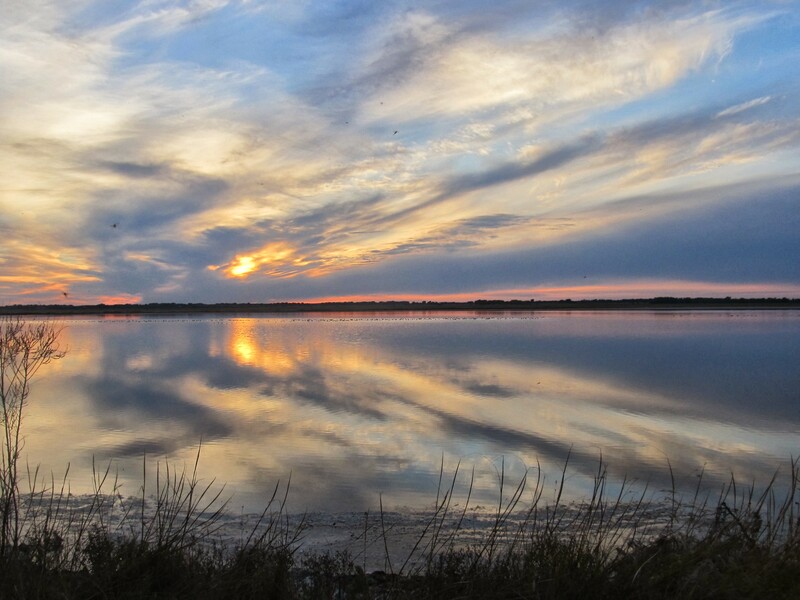 Kansas Trail Guide: What makes Kansas special for you? JV: It boils down to open skies and the frequent surprise. DH: Expansive horizons, the subtle play of light on cloud and grass, the stormy intersection of high and low pressure zones. LG: Especially as an artist, I can use the fact that Kansas is largely under-appreciated to challenge myself to convey the immense beauty I find here to those who don’t see it. Places like Santa Fe or Sedona are so obviously beautiful that there are 1000’s of artists there and I would find that a much more difficult situation! The space itself is what I revel in here. My work invites folks to slow down and take the long way–to stop long enough to see which way the clouds are moving, how the light changes, to sharpen their awareness and senses to the place. The burgers at Lawrence’s Burger Stand in The Casbah in downtown have been ranked as some of the best in the country. I stopped by during my visit to the nearby trails (Baker Wetlands and Black Jack Battlefield). The burger was indeed tasty – juicy without being greasy, filling without being overwhelming, and they had options for everyone. For red meat eaters, the options range from the classic topped with cheddar & local micro greens to the black and blue with Blue cheese & granny smith apple chutney to the smoke burger with Applewood smoked bacon, smoked gouda cheese & chipotle-cocoa ketchup. For non-red meat options and even vegetarian, you can get a catfish po’boy, a black bean burger, the spicy shiitake burger topped with habanero cream cheese, avocado and greens. For me, the stand out was the topping options for both the fries and the burgers. Parmesan garlic aioli? Marshmallow dip? These were options I’d never seen anywhere else. I ordered sweet potato fries and the truffle fries (in the name of research of course), and loaded up with every topping option they had. The food was ready pretty quickly at the kitchen window, even with the short and consistent line to order, and I savored my burger and fries at one of the long bar top tables in the front. In the back dining area are ping pong tables, pool tables, and a foosball table. During the school year, I was there in the summer, I imagine it can get pretty busy and loud in there, but for a burger joint in a college town, I wouldn’t expect much else. And for my favorite dipping sauce, for both uniqueness and tastiness, it was a tie between avocado ranch and chipotle-cocoa ketchup. Have you been to the Burger Stand? What’s your favorite burger or dipping sauce? Let us know in the comments below. Visiting Black Jack Battlefield was just step one of my jump into the history of the Bleeding Kansas era. While in Lawrence, thanks to the help of the Lawrence Convention & Visitors Bureau, I was put up in The Eldridge Hotel in downtown Lawrence. The first hotel on the site of the current Eldridge Hotel was called the Free State Hotel, a very politically charged name for the 1850s. Built in 1855 by settlers from the New England Emigrant Aid Society, the hotel stood for just a year before Sheriff Sam Jones and a pro-slavery group burned it down. Colonel Eldridge rebuilt the hotel, including an additional floor, and said that each time it was destroyed, he’d build it back with another floor. Sadly, he had to do just that after Quantrill’s raid in 1863 as much of the city, including the Free State Hotel, was burned. Colonel Eldridge stayed true to his word and rebuilt the hotel, and it was renamed The Hotel Eldridge. From the 1860s, the hotel has gone through some changes. Torn down and rebuilt to reflect its former glory in 1925, it was then closed as a hotel on July 1, 1970, and it was converted to apartments. The Eldridge is all about service and style. All the rooms are suites with a separate sitting area, mini-refrigerator, flat screen TVs, and free WiFi! That’s right – a higher end hotel that doesn’t charge an extra fee for WiFi – harder to come by than you might think. While its definitely a 3+ star hotel, it’s not stuffy or unapproachable. The lobby furniture is comfortable, and the staff are friendly and helpful. Best of all, or at least for me, it has real character. Thanks to its history and design, its a unique spot and you won’t wake up and not know where you are, like in some chain hotels. The hotel knows that since it’s downtown in a college town, there’s likely to be noise on weekends, so earplugs can be found by the beds. I found it quiet, but I was also there over the summer on a weekday. 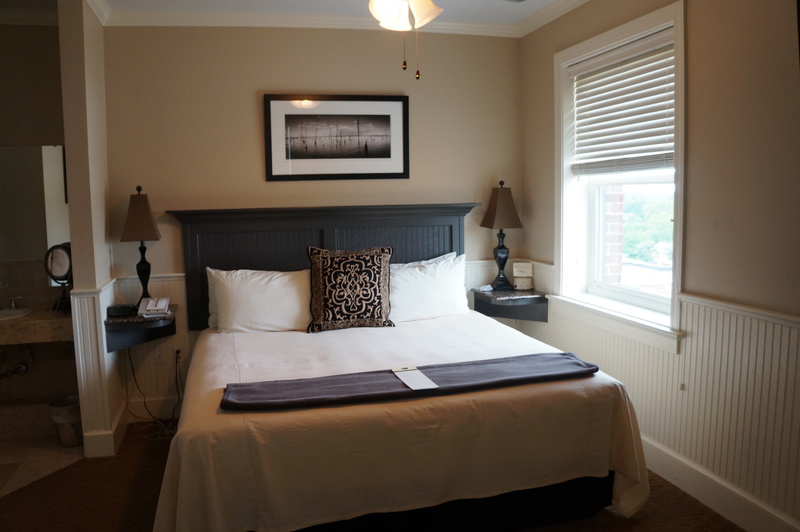 Other nice details include the super comfortable mattresses, unquestionably clean linens (hoteliers – always go for white on white bed linens – guests know immediately that they’re clean), and it’s easy to walk just about anywhere in downtown Lawrence. Though, this does mean parking comes at a price – valet parking is $10. Why have just one restaurant when you can have two? 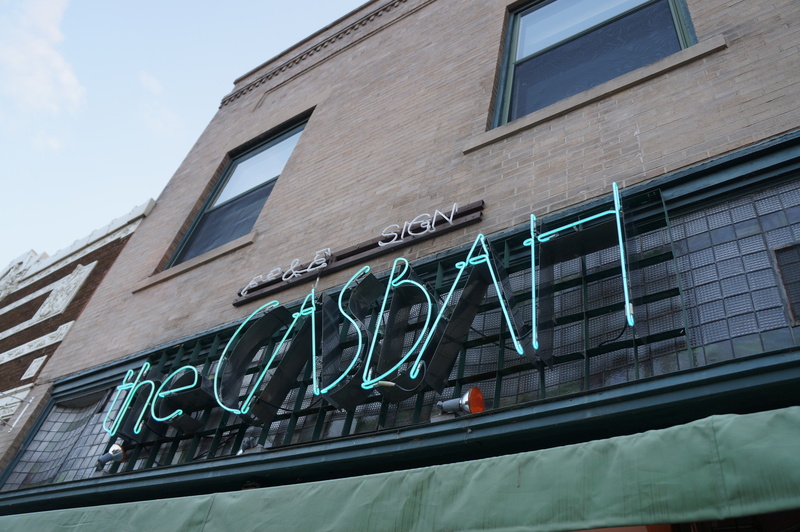 The Jayhawker is the more casual of the two with a 4:00-6:30pm Happy Hour during the week and drinks specials throughout the week. The bar off the lobby fills with natural light from the large windows, and the menu features local brews along with specialty cocktails and wines. 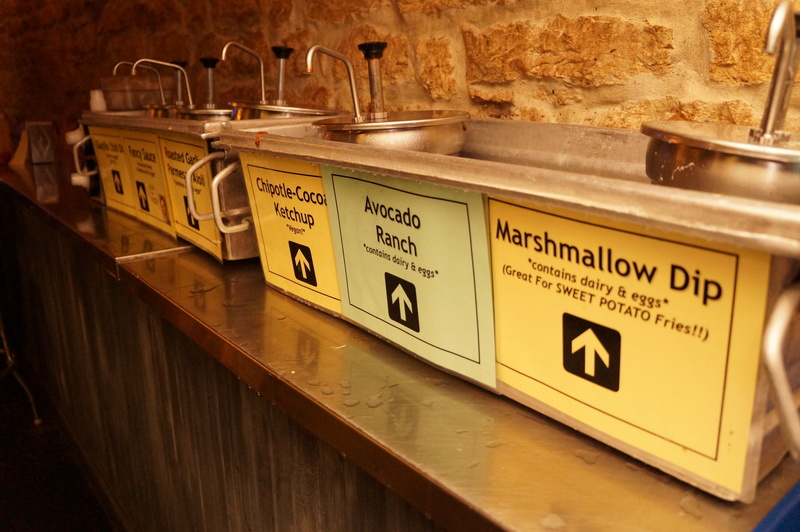 For a full dinner (or breakfast or lunch), there’s TEN, on the other side of the lobby with a fancier vibe and what seemed like an older crowd than The Jayhawker. With so much history, for those who believe in ghosts and spirits, it makes sense that the hotel would be haunted. It’s a stop for the Ghost Tours of Kansas, since the spirit of Colonel Eldridge still wanders the halls. He didn’t die there, but apparently just loved it so much, he never left. 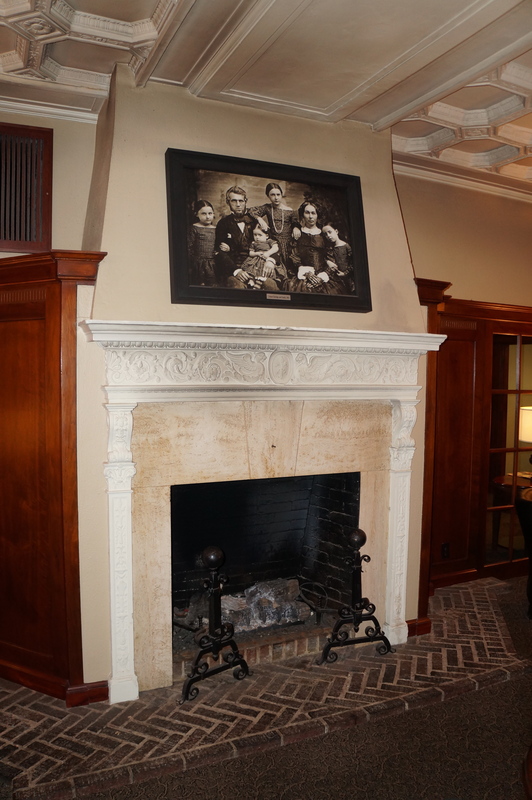 The most haunted spot in the hotel is reportedly the 5th floor, specifically room 506 where an original cornerstone allows ghosts to move between our world and theirs. Who knows? Believers may experience unexplained events and feel let down without them. While I had no otherworldly sightings, I was able to easily check out downtown Lawrence and get a great night’s sleep, so I was happy!